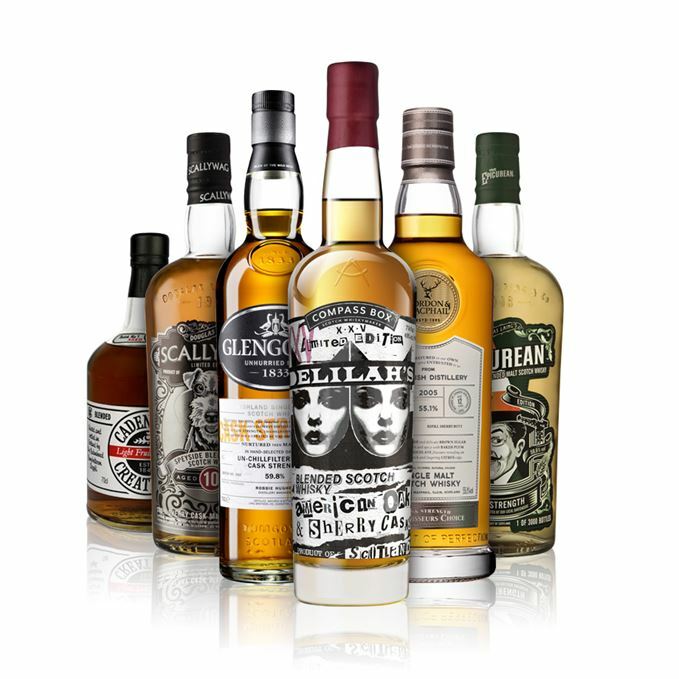 A nice mix this week between blends, blended malts and single malts – two of each, in fact. And, if you’re one of those misguided souls who thinks that blends are inferior… check out the scores. 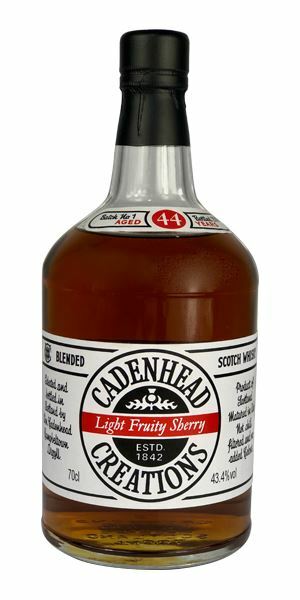 Those blends could scarcely offer more of a contrast, from Cadenhead’s ‘remarkable’ Lightly Fruity Sherry 44-year-old to Compass Box’s altogether more raw effort, created to mark the 25th anniversary of punk rock/whisky bar Delilahs’s in Chicago. Dave Broom’s musical choice of Iggy Pop is entirely appropriate. 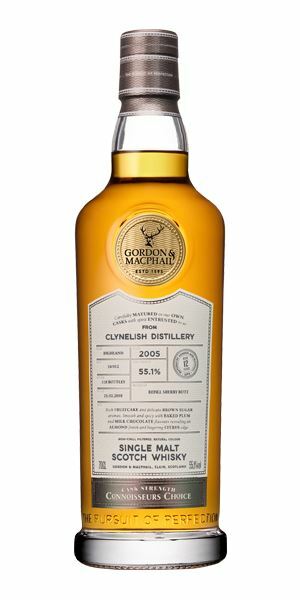 Both single malts hail from the Highlands, and both are more than worth a look, says Broom, from the ‘very stylish’ charms of a G&M Clynelish to a cask strength Glengoyne that is an ‘utter bargain’. The blended malts both come courtesy of Douglas Laing, and they share a regional slant. 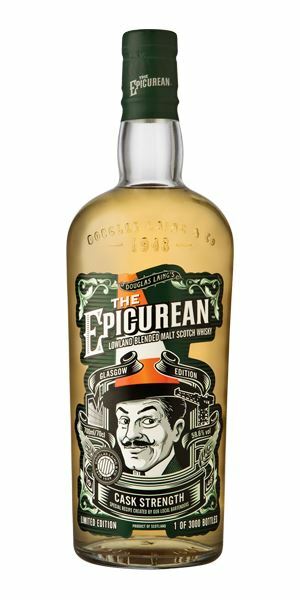 First comes a cask strength take on The Epicurean – a Glasgow-themed Lowland whisky that offers an attractive perkiness – followed by a 10-year-old Scallywag combining Speyside malts to bring an easy-going funkiness with which to close proceedings. Welcome to rancio central: all sealing wax, light blue cheese, white truffle, Israeli mango pickle, strawberry, a lick of enamel paint and then a mix of fresh and dried tropical fruit spiked with sultana and tinned prune. It’s baked and oily, heady, mature and complex. A tiny drop of water adds in more resin and guava. If it doesn’t quite hit the heights of the nose, it gets pretty close. Layered, subtle and tongue-coating; there’s slightly more spice and a new clotted cream element. While there’s a slight hollowness in the middle of the tongue, it soon picks up again, ending with a mix of plum pudding, gingerbread, then a fuzzy mix of violet and dried lavender. Raisin, wax and a singed element. A remarkable, big, gentle and complex blend. In the depths of the church, the deal was brought to a proper Consummation. Full, Sherry-matured nose, rich and quite oaky with cherry (in fact, flat cherry cola) and sultana to the fore. The huge wax polish effect gives little doubt about where this is from; it even smells unctuous with some (cask-driven) nuttiness, hazelnut kernel. As it opens, it becomes more heady, with hints of pollen, orange (a theme this week) and integrated wood – even hints of oxidation, which add another layer. Water gives a slightly alarming louche and makes it more overtly fruity. There’s fresh ginger galore, giving a surprising tingle to the mid-palate, while a light salinity works against glucose-like sweetness, adding balance. The citrus peels appear early on, backed with dried sage and thyme. Orchard fruits (plus the sultana) pool in the centre of the tongue. Water adds a chocolate-like element and ups the spice, but also disrupts the flow – I’d leave it on the side. Lazily letting the weekend start on Friday Morning. Rounded and elegant, there’s some cooked date elements as the Sherried influence makes an early case for itself, backed with some pretty mature sandalwood and cedar undertones. It drifts towards café crème, toffee and black banana. It manages to be muscular but soft at the same time. As it develops, so baked apple and custard begin to emerge as the American element finally comes through [Don’t mention the war – Ed]. It continues to grow in power if you leave it in the glass for long enough, while water brings it together with a little touch of sweet spices. 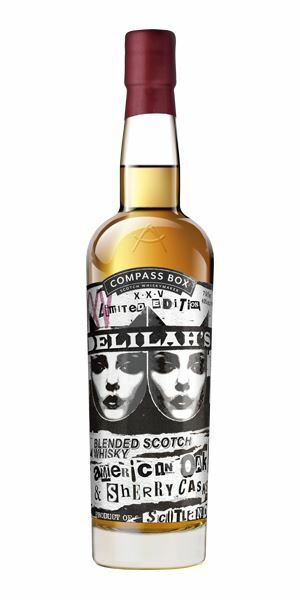 Very Compass Box-like soft delivery, which goes deep into the world of black fruit, salty liquorice, then blueberry jam. It’s a pretty slow-developing whisky, but what’s the rush? Water brings out mature notes, some vanilla pod, raisin and fig, with more of the cinnamon and allspice creeping in at the back. Long and rich, with some chocolate. My my my, a celebration of the 25th anniversary one of my favourite bars in the world, Chicago’s watering hole for ne’er-do-wells and the loucher lovers of amber liquid and punk rock. Go to Delilah’s and everything will be all right Tonight. Perky and whistle-clean, limey, intense and slightly hot, with galangal and an almost mineral-like element (salt on skin), before a floral lift mixed with ginger beer/dandelion & burdock. When water is added, you get more green stems, apple and hard pear. A sweet start, with a tiny powdery element and, as expected, some heat lending it a direct and almost effervescent quality, with lots of lemongrass and zingy grapefruit-like acidity adding lift. There’s a clever balancing creaminess from sweet oak, however, preventing this element from running away with things. Water doesn’t curb any of this enthusiasm, but shifts things towards a quality Tequila reposado: white pepper, mineral, prickly pear (this is not a bad thing). 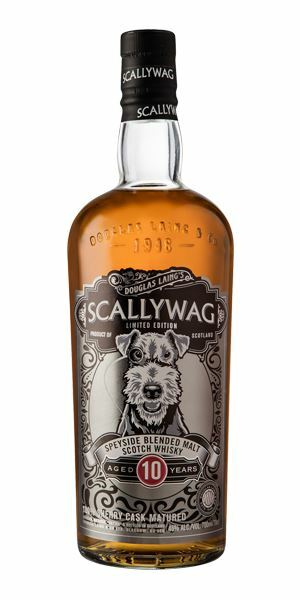 A fantastically well-priced and fun blended Lowland malt. Check it out. Buzzes about like a Space Mosquito. There’s some heat, but maybe not as much as you expect if you’ve glanced at the label, suggesting that there’s some decent level of intervention by the casks (a variety of ex-Sherry types), which has helped to calm things down. What you get is a mix of a gentle funkiness, which moves into mocha, carob with some shoe polish, then wet reeds. In time, rather than continuing down the funky road, it seems to lighten (this especially with water), showing more crème brȗlée, red fruits and a more estery sweetness that’s given a twist by orange bitters, almond and creamy Walnut Whip. A powerful yet sweet-centred start, with touches of oak on the sides, along with orange studded with clove and cardamom. Once again, things sweeten (a slight rummy funk now), with caramelised fruit syrups and, with water, lemon spice, geranium leaf and rose. 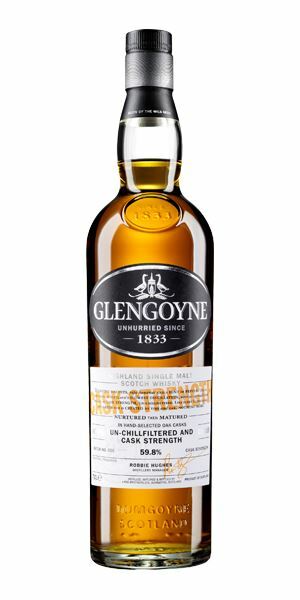 Gentle, with excellent balance, this is a great example of Glengoyne’s understated elegance and, at under £50, an utter bargain. Chilling in the sun, Take A Stroll Thru Your Mind. Some pretty decent Sherried funkiness here when neat that gives an almost gamey savouriness (game pie and mushrooms), crossed with beans and ham hock. Then some chestnut, stewed dark fruits and mature Gouda nuttiness gets stirred in. Maybe I’m just hungry. In time, there’s some candied fruit. All rather mellow. Water brings out more cereal and sacking. Very soft start, with more of the rounded sweetness seen on the nose. Some milky coffee elements with a little raisin added in. Well-balanced and focused, with the softness of the mid-palate given a gentle grip by light tannins. Water is a little too disruptive, so keep thing neat to maximise your enjoyment. Sweet, with light, dried fruit. Easy-going and, at a bullseye, decent value as well. Know what I mean? Wriggles around on the tongue like a Funky Worm. Batch 154 29/06/2018 Bushmills and Redbreast from Ireland, plus Glenmorangie, Glen Scotia and Jura from Scotland.